Posted December 17, 2012, updated December 17, 2012. Disclaimer The information presented here is for informative and educational purposes only and is not intended as curative or prescriptive advice. We all have health problems of one kind or another. But our ancestors probably had fewer health problems than we do today. Research archeologists inform us that autoimmune disorders evolved over the past 10,000 years as our ancestors started to migrate to different parts of the world. Apparently changing one’s environment acted as a stimulus to modify our genetic DNA; thereby creating mutations of various kinds. One side-effect of all this is suspected to be genetic autoimmune disorders like skin disorders. This historical reference opens the discussion about skin and skin disorders. A clear skin displays one’s appearance and how one looks and feels. Women are especially sensitive about their skin appearance and use cosmetics to make themselves more attractive. Many cosmetics, skin creams and lotions can be absorbed by the skin, causing allergic reactions, skin itching and rashes. Skin cosmetics can be dangerous to a woman's health! Many skin disorders look similar, appear to be inter-related, although medical research is skimpy at best! Doctors usually treat symptoms of a skin condition and not the cause! This probably explains why most of us with a skin disorder are seldom treated successfully by our healer. This article briefly reviews a few skin disorders such as rosacca, psoriasis, shingles, itchy skin or pruritus, prurigo nodularis (PN) or hard crusty lumps form on the skin and koloid scars. Alert: Some readers may incorrectly perceive that this author is advocating iodine therapy for skin disorders. This is not so as he is merely the messenger of the information. But those attempting to try apply iodine to psoriasis or other skin disorders should become more informed, do so under the guidance of a medical doctor and follow the guidelines for doing so. To understand skin disorders one needs to appreciate what the skin is and does. Skin is the largest organ in the body and covers body tissues. Wiki: Skin It plays a key role in protecting the body against pathogens, excessive water loss, excretes toxic wastes, has about 500,000 sweat glands and can produce more than a pint of sweat a day, acts as an insulator, regulates temperature, is sensitive to heat and cold, touch, pressure and vibration, absorbs oxygen and nitrogen, stores fat and water and produces fat-soluble vitamin D.
Since the skin contains a lot of fat, it thereby also absorbs many substances and dangerous chemicals that are also fat soluble. The skin absorbing toxic chemicals instantly puts a big burden on the liver and kidneys to detoxify such substances as quickly as possible. Your skin is a bridge between your body and the outside world. It senses every change in the outer world, including heat, cold, humidity, pressure, various radiations, and the effects of many harmful chemicals and physical phenomena. It acts as a monitoring system to protect you from harm. Scientists point out that the skin's ability to react to environmental hazards and toxic chemicals already inside your body mirrors the inside health of the body. Abnormalities that appear on the skin are usually a sign of metabolism disorders and other glandular disorders in the body. Yilmaz: skin mirroors health What happens on the inside truly does show up on the outside. The common over the counter home remedy is to use some type of lotion or skin moisturizer. The more enlightened might even use some type of natural skin care products. This is not a bad thing but it’s more like a band aid than a cure. Think about it – if you have to keep using skincare products over and over and over, is it really fixing the problem? Shingles [ herpes zoster ] is an outbreak of rash or blisters on the skin that is caused by the same virus that causes chickenpox — the varicella-zoster virus. 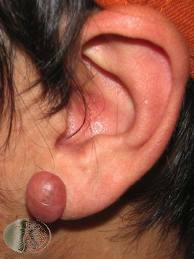 Keloid is created through an overgrowth of collagen or skin tissue. The healing process of a scare is interrupted and the scar rises above the skin surface creating a solid, shiny overgrowth which may vary from a flesh color to red or dark brown. Marks: itchy skin & iodine 2011 Illustration on right is a keloid that formed when an ear piercing did not heal properly. Medical doctor David Derry recommends the application of liquid iodine, such as SSKI or Lugol's iodine to eventually flatten the keloid to a "normal scar". using iodine This causes regeneration .... the old skin is eventually sloughed off and new skin appears minus the lesion. The success of both medical doctors treating skin keloids with iodine challenges the traditional medical approaches. Psoriasis is shrouded in controversy. It has been widely believed there is no remedy for psoriasis. Conventional medicine claims that since psoriasis has a genetic marker, it is an autoimmune disorder and cannot be cured. 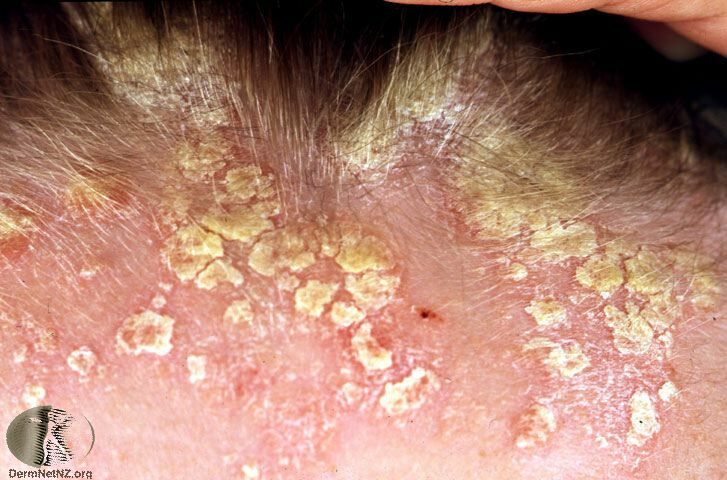 On the other hand, Tullion Simonicini, MD, of Italy, claims to have treated psoriasis successfully on the observation that psoriasis is a fungus. Psoriasis iodine therapy You may find detailed information about this on his website Espanol Pick your poison, so to speak, as whom you wish to believe! Cause of Psoriasis: Psoriasis develops where there in an improper balance of two chemical regulators in the body called cyclic adenosine monophosphate (cAMP) and cyclic guanosine monophosphate (cGMP). When these two regulators are balanced, the cAMP is dominant over cGMP. If the cGMP becomes dominant, the skin develops a proliferation of skin cells. Iodine returns the natural balance to the skin through its antifungal properties. We should concentrate on whether the tincture of iodine or Lugol's 2% solution works when applied on psoriasis and skin disorders. It is just conceivable that Simoncini is wrong about the diagnosis but correct about the treatment, i.e., that the treatment works for some other reason than he thinks it does. 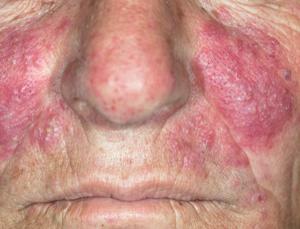 n Iodine causes temporary discoloration of the skin. It will disappear within 12 -24 hours. 4. Day 2 – infected area begins to encrust & form a scab. [ Do not force peel ] The formation of the scab is indicative of the start of a healing process. 5. About day 3 -treated infected skin will start to get rough or wrinkled. 6. About day 5 - infected skin may begin to peel [ do not force peeling ] Let dead skin come off by itself. The new skin underneath the scab will be psoriasis-free. Note: The scab is part of the healing process. Just try not to tear it off prematurely. It will come off by itself when the time is right, a bit of soaking on day four or five will ease the process. What happens when you apply the tincture of iodine is that the psoriasis lesion becomes an ordinary superficial wound on the skin and the scab that forms is merely protecting the immature skin cells underneath as they mature. If you want the skin forming underneath to be healthy, you may consider continuing to apply the tincture on top of the scab for a couple more days. The procedure presented here is for informative and educational purposes only and is not intended as curative or prescriptive advice. Beauty is more than skin deep: "Our skin can reflect what's going on inside our body," says dermatologist Anne Chapas, M.D., of Union Square Laser Dermatology in New York City. A simple way to diagnose your health is to look at your skin in the MIRROR! Although you may not have the expertise to interpret the signals that your body is sending to the skin, your inner body is alerting you that you may have a health problem. It is important to be aware that this may be happening to you and your body. What your skin shows on the outside says a lot about what’s going on inside your body. Chin acne may be a sign of: A HORMONE IMBALANCE while dark circles under your eyes – even after a full night’s sleep – may be a sign of: ALLERGIES. In spite of these connections made by Chapas about acne and dark circles and what is going on inside one's body, the other connections between all the other numerous skin disorders and hidden diseases or disorders is still a fascinating mystery! It may be that the skin functions mentioned earlier [ toxic poisons, pathogens ] are being reflected on the surface of the skin. You can help keep your skin healthy by providing the nutrients [ food and supplements ] that the skin needs. What you eat and drink is absolutely related to the health of your skin. Your skin will suffer if you are consuming too many (or any) processed foods, refined sugars and sweets, too many animal proteins, sodas, or refined salt. Using beauty skin applications is the wrong way to restore skin health. Instead of trying to give your skin relief from the outside with cosmetics, you need to restore skin health from the inside; that is, by good nutrition and avoiding processed foods, sugars and soft drinks. Eating an alkali diet will also help to keep your skin [ and body ] healthy! In addition to eating wholesome foods that provide the nutrients that the skin needs, the largest organ of the body needs adequate sleep and rest, a little sunshine, fresh air, and personal hygiene like washing the skin several times a day. Conclusion: By focusing on treating symptoms like itchiness and pain instead of fixing the causes, Western medicine does not have a handle on skin disorders! There is controversy about treating skin disorders. There is also controversy as to whether psoriasis is a type of fungus or an inherited autoimmune disorder. It may well be that psoriasis is an autoimmune disorder that is infected with a fungus, and this may explain successful attempts to treat psoriasis with iodine and baking soda. Dermal Iodine applications seem to relieve itchiness, and numerous skin disorders. The research on all of this is very weak. The exact relationship between an alkali body, diet and skin disorders is unclear at this time. It would also be prudent to conduct real good independent research on the psoriasis controversy. "Skin cosmetic products: According to The Chemical Body Burden Org., phthalates have been shown to cause a wide array of health problems, from liver and kidney failure to heart, lung and blood pressure problems. They affect the reproductive development of fetuses and infants, and the reproductive tracts of males. You can find phthalates in breast milk, which means that babies are ingesting these chemicals as they develop. It has been shown to cause testicular atrophy and a reduced sperm count, among male infants. HCWH tested 72 of the following kinds of cosmetics: Nail polish, fragrances (perfumes, body oils, etc. ), hairsprays, deodorants and lotions. Fifty-two of these contained phthalates as ingredients, though none were listed on the labels. Most of the phthalate-containing products are household names: Aqua Net Professional Hair Spray; Degree Original Solid Deodorant; Nivea Créme lotion; Elizabeth Arden's Red Door fragrance; Calvin Klein's Eternity perfume. As Brody of HCWH points out, this is just the beginning: "It's impossible to know without testing which products contain phthalates. Just because some of the lotions we tried tested negative doesn't mean [all lotions are] clean." Until the manufacturers are required to label phthalates, there's no way to know for sure." Calculating Number of MG's of Iodine and Potassium Iodide per Drop of Lugol's Solution: LUGOL'S 5%: Each VERTICAL drop is about 6.25 mg's of iodine/potassium iodide (2.5 mg iodine, 3.75 mg potassium iodide) and 2 drops is about 12.50 mg's of iodine/potassium iodide (5.0 mg iodine, 7.50 mg potassium iodide). Compared to other's, J.CROW'S® Lugol's Solution offers big savings. LUGOL'S 2%: Slightly less than 1/2 half the above measurements = about 6.25 mg's. Crow: Factsheet.
" What foods to avoid during a shingles outbreak? Answer: Foods to avoid during a shingles outbreak include: * Chocolate * Red wine * Peanuts * Cola * Coffee & tea * Sugar * Most nuts * Gelatine * Beer * Peas * Carob * Chick peas * Soya beans * Wheat * Coconut * Tomatoes * Mushrooms * Eggplant * Sesame and sunflower seeds * Brown rice * Oatmeal * Popcorn. These foods will aggravate the shingles virus and cause a prolonged response to it."